Seasons, four seasons - winter, spring, summer, autumn. Collage consisting of natural species in different seasons. 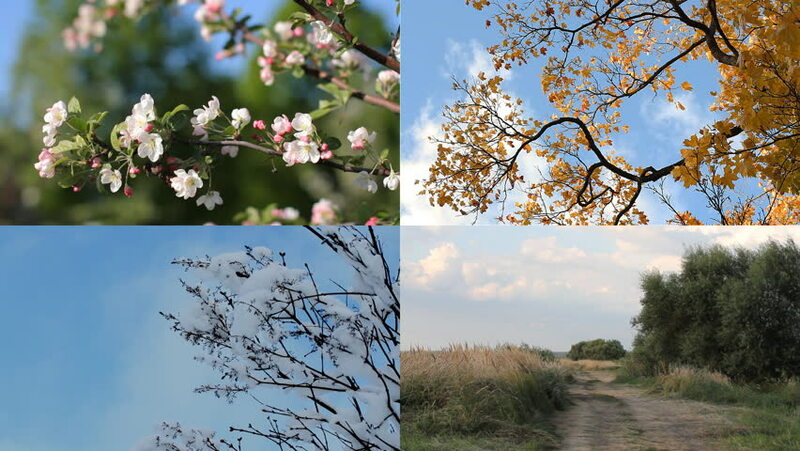 hd00:33A beautiful collage - autumn, winter, spring, summer - four seasons. Seasons - collage with the image of nature at different times of the year. hd00:11SAPPORO, JAPAN - May. 16 : Japanese Cherry blossoms and Sapporo TV Tower on May 16, 2013 in Sapporo, Hokkaido, japan.The Tower is located at Sapporo Odori Park. hd00:32Seasons - collage with the image of nature at different times of the year. Beautiful scenery - autumn, winter, spring, summer - four seasons. hd00:18Seasons - collage with the image of nature at different times of the year. A beautiful collage - autumn, winter, spring, summer - four seasons. hd00:10Savoca - Ancient village on the Strait of Messina, famous for some of the scenes from the movie "The Godfather"